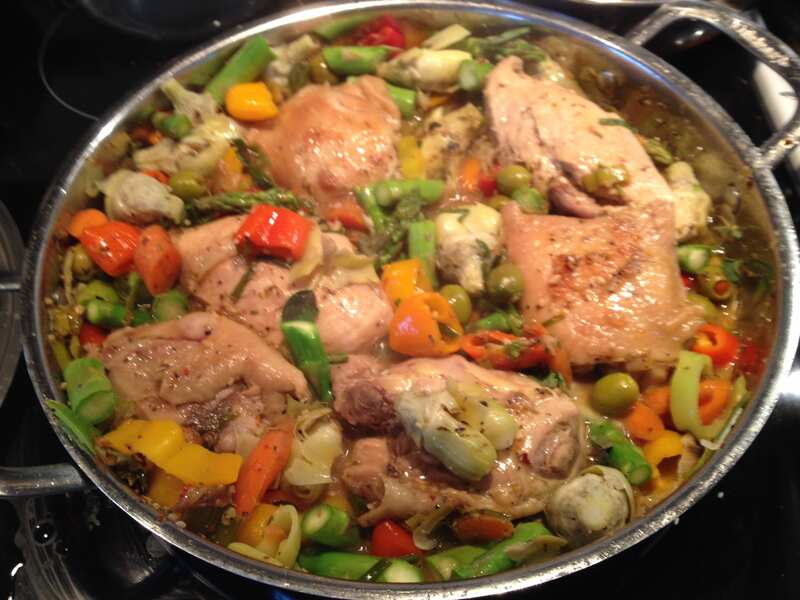 My Tuscan flavored chicken is a promise that Spring has arrived or at least is in our not too distant future! Asparagus, artichokes, leeks and chives play starring roles in this yummy one pot chicken dish, served over orzo and served with a bright chard and romaine salad sprinkled with pea shoots and simply dressed in vinaigrette! Just delicious! Wonderful with a light Rosé wine. 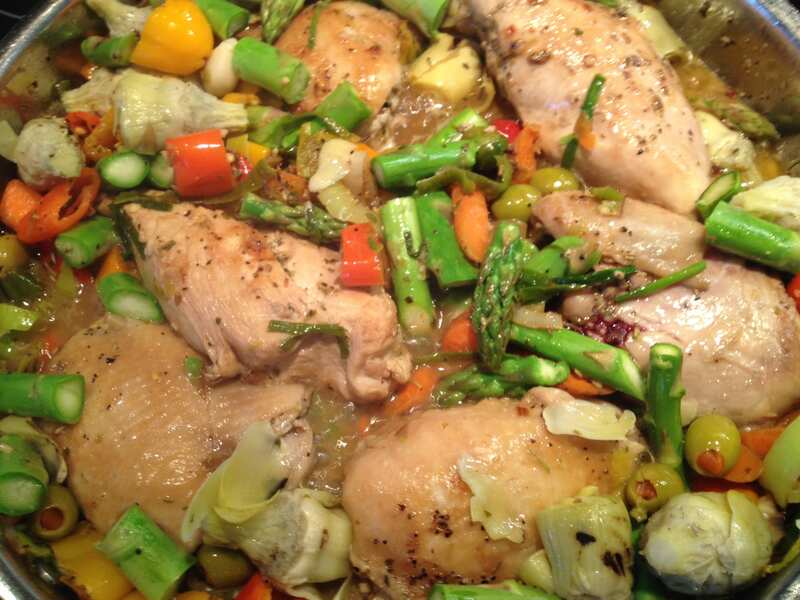 Serve Tuscan Chicken with Asparagus and Artichokes over cooked orzo or rice. Serve with a crisp white wine or light rosé wine!